If you have concerns that you or a loved one are suffering from Ketamine addiction, we can help. Ketamine addiction is not uncommon and there are various treatments available to help make a full recovery. During 2014 and 2015 there was a drought of supply of Ketamine in the UK, so dealers were charging top prices for the little supplies they had. The latest reports, however, suggest that it is back and in abundance. The drought of Ketamine did many individuals a favour, in a sense of giving them no other choice but to stop using the drug. This was a good thing as the chemical has already claimed many lives of youngsters in particular. 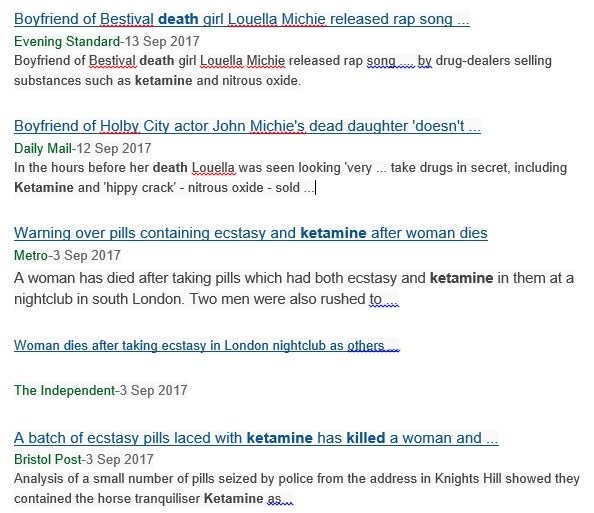 But now the drought is over, Ketamine is back with a bang and already claiming lives again, particularly for the past two years. 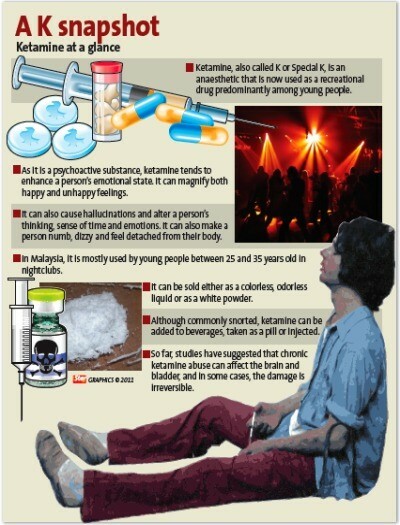 Ketamine, due to its effects, is very popular at the party/club and rave scene, mostly amongst teenagers and young adults. In June 2014 Ketamine was moved from a class C controlled drug to a Class B drug under the Substance Misuse Act; this was in response to a spate of deaths attributed to the drug prior to the UK Ketamine drought. With the substance back on the streets in abundance and at more affordable prices, it is time to alert everyone about the dangers of this classified and dangerous drug, which being commonly mixed in with Ecstasy pills, is a lethal combination. If you are concerned that you or a loved one has an abuse problem or addiction to Ketamine, Addiction Helper can help. This article is written to educate you and your loved ones about the dangers associated with Ketamine, the addiction and abuse potential this drug holds. It explains what your children and teenagers need to know about this “party” drug, the statistics and mortality rates associated with Ketamine overdose, abuse and addiction; the signs and symptoms of a Ketamine abuse problem or addiction; street names commonly used for Ketamine. Most importantly of all, the article informs you how Addiction Helper can get you the immediate help you need if you or a loved one do have a problem. At Addiction Helper, we are experts on addiction treatment and education around prevention. We are the leading authority in the UK on rehab services and have a wealth of experience and knowledge to help. We have an unrivalled passionate about saving lives and believe that this starts with prevention through education. Where an abuse problem or addiction already exists, we can get you or your loved one the immediate life-saving treatment needed in order for a full recovery to be made from Ketamine abuse or addiction. Recovery from addiction is possible; we are living proof of that! We are a company staffed mainly by recovered addicts and alcoholics and those whose lives have been significantly affected by another’s addiction. We are highly skilled and trained in our profession and have a unique insight into an addiction that can help the still suffering addict and their family to recover. To learn more about Ketamine, please read this article in its entirety; we will also tell you about the treatment options that are available both privately and on the NHS. If you or a loved one have a problem with Ketamine, call us now or talk to us on LIVE CHAT, for immediate professional help and advice with one of our addiction treatment experts! Ketamine, as it is now known, dates back to 1962, where it was first synthesised by Calvin Stevens, a well-known and respected American scientist who worked for Parke Davis Laboratories. Initially, it is was known as CI-581 and developed as a derivative of PCP, as an anaesthetic drug which acts as an NMDA receptor antagonist. It replaced PCP, as it was found that PCP produced violent hallucinations in humans that used it. 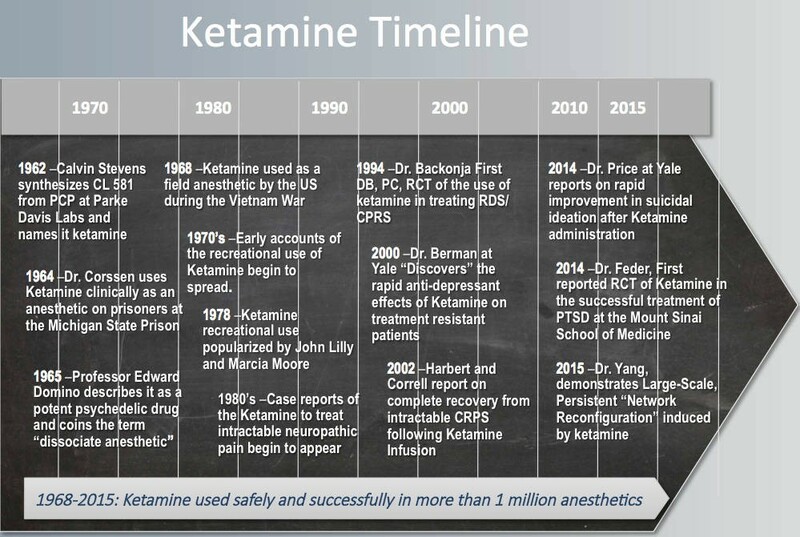 Ketamine was synthesised as a medical drug for its anaesthetic properties and its fast onset when administered intravenously; it was first approved for human use in 1970 as a safer alternative to PCP. It is also a hallucinogenic and powerful analgesic. In the medical field, it replaced PCP as an anaesthetic, as PCP caused long-lasting and severe hallucinogenic effects during the individual’s recovery from anaesthesia. PCP was declared unsuitable for humans as it often presented other symptoms such as psychosis, delusions, delirium and psychotic episodes. Ketamine was considered a safer alternative for hospital use on patients, as it could be easily controlled and monitored, whilst keeping the individual’s breathing and vital statistics stable. It was never meant for recreational use, much like all other controlled medications. Today, it is a Class B controlled substance, for the anaesthetic purposes of children and adults (during short, non-complex operative procedures), also used on animals, within veterinary settings. 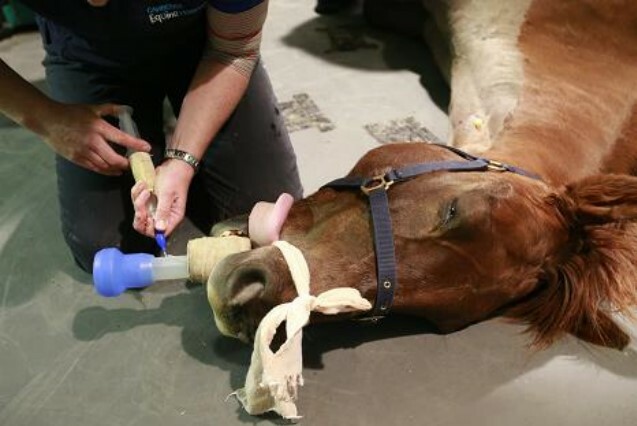 Its strength makes it a preferred mean to anaesthetise large animals such as horses; always with the correct medical equipment and administered by a qualified veterinary surgeon. In smaller doses, it is administered in hospitals, during short operative procedures or during manipulation of the bones of an injured patient, who rarely recall the event afterwards due to its amnesic effects. In 1965, the first known recorded account in the history of Ketamine for recreational use was noted by Professor Edward Domino. Professor Domino described Ketamine as a potent psychedelic drug, termed as a “dissociative anaesthetic”. Ketamine is similar to PCP and DMX is that it distorts the user’s perception of light and sound; in addition, it produces illusions of detachment from oneself and surroundings. The symptoms can be prolonged once the pharmaceutical benefits have worn off and can create psychosis and in the worst cases have been linked to other psychiatric disorders such as Schizophrenia. Under controlled use within the correct environment, i.e. a hospital or a veterinary practice it is deemed a safe and valuable drug, but when abused or misused it is anything but safe and can lead to longer-term psychotic illnesses and death. Ketamine has also been trialled in controlled doses. As a possible solution to PTSD and severe depression sufferers. But as yet this had not come to fruition on the medical market as an approved treatment for these disorders. In June 2014 the UK upgraded Ketamine from a Class C drug to a Class B drug in response to its increased use and abuse amongst the UK’s population, and the number of increasing casualties and deaths resulting from that. What Is Ketamine and What Does It Look Like? Ketamine has many brand names, one of the most popular being Ketalar. It is a powerful analgesic medication with hallucinogenic properties, used for the purpose of inducing and maintaining anaesthesia during painful or short operative procedures. In addition to providing powerful pain relief, it also sedates the patient, inducing them into a trance-like state, where they can remember very little whilst under the influence of the drug if anything at all. 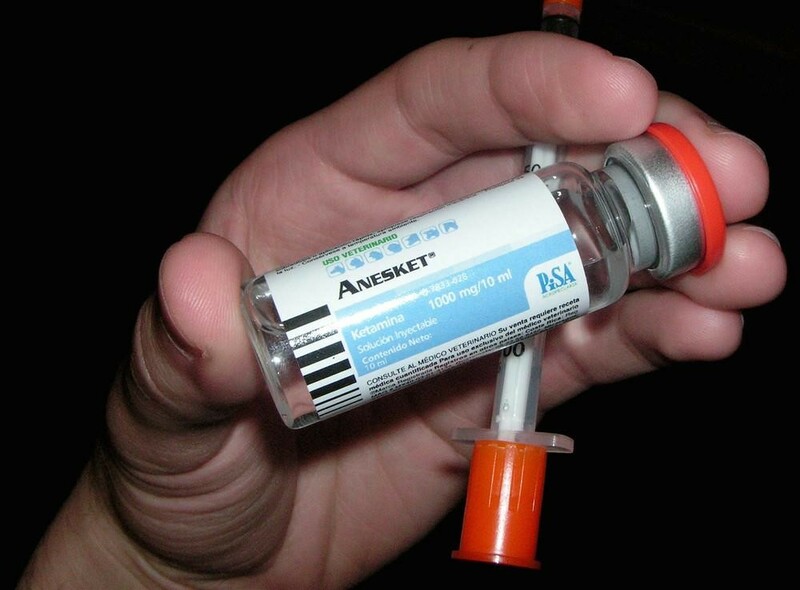 Ketamine is a controlled Class B medication, meant to be used only within a hospital or veterinarian setting. It is that powerful that is can put horses to sleep; so you can see that overdosing is a very high risk that abusers and addicts take on a regular basis. Other medical uses include chronic pain management and intensive care sedation. Typically, its effects take hold within 5 minutes of intravenous administration and can last up to 25-30 minutes in terms of peak pharmaceutical effects. When the medication starts to wear off there are some very unpleasant and distressing side effects, including agitation, hallucinations, increased blood pressure, tremors and confusion. These withdrawal effects are common and gradually wear off. In a medical setting, they are controlled so that the patient does not become distressed. Ketamine is available to illegally purchase in injectable solution form, ampules, tabs, crystals, powders, pills or capsules. It can be taken orally, sublingually (under the tongue) heated and inhaled (smoked), snorted or injected. The powder form is usually white and similar looking to cocaine but not as powdery in texture. Ketamine is very dosage specific in the effects it produces. When used recreationally in smaller amounts than used for anaesthesia, the effects are very different; they are euphoric and hallucinogenic, it is these effects that the user craves and becomes addicted to. The effects generally wear off quite quickly and you would be monitored the whole time in a hospital setting making sure the correct dosage for your height, age and weight would be administered. Withdrawal symptoms would be monitored and controlled by medics. Again, these effects will wear off gradually; but in an uncontrolled environment, they put the person at far higher risk of hurting themselves, overdosing or having permanent psychological damage as a result. If you or a loved one have a problem with Ketamine, don’t waste another day on addiction; call us now or talk to us on LIVE CHAT, for immediate and professional help and advice! If rehab admissions and deaths associated with Ketamine are anything to go by, then yes it is hugely addictive! Psychologically it is potently addictive and the user will build a tolerance to its effects. This results in them having to take more in order to achieve the initial and desired effects they used to experience when they first started to take the drug. Ketamine significantly alters the brain’s chemistry by flooding the brain with organic feel-good chemicals such as dopamine and serotonin. Over time, the brain produces less of these naturally occurring chemicals. This leads the user to feel very anxious and depressed, even suicidal until they get their next fix of Ketamine. Eventually, the brain’s neurotransmitters and pathways are so damaged that new ones are created to solely serve the addiction. At this point, even if one really wants to stop, they cannot, as the drug has taken over their thoughts and actions. This is why Addiction is globally known and recognised as a “chronic relapsing brain disease” by Public Health England and the National Institute of Health on substance misuse. Once an addict has reached this point they are driven by their brain to seek out the drug no matter what the consequences are to themselves or to others. They do not even understand themselves why they can’t stop and family are left angry, scared, baffled and bewildered. Ketamine’s long-term effects can carry grave consequences to the user’s mind and body. Physically, Ketamine can impact on the heart, the brain, the stomach, the urinary tract and bladder causing irreparable organ and brain damage, when used in excess and abused over a prolonged period of time. The Channel 4 News produced this short documentary, explaining the effects of Ketamine on long-term users. Since the making of this documentary video, Ketamine has been upgraded to a class B drug under the Substance Misuse Act 1971. The majority of Ketamine withdrawal symptoms are not physical, most are psychological but the user will notice the following symptoms. If the individual has been using heavily and for a prolonged period of time, their symptoms will be more pronounced and severe, especially if they quit suddenly. As with all withdrawal symptoms, they will lessen over time, however, an individual that has severely damaged their body and brain may be left with consequences that will last them the rest of their life. Knowing the slang terms for a drug can be very helpful to identify if a loved one is using or not. 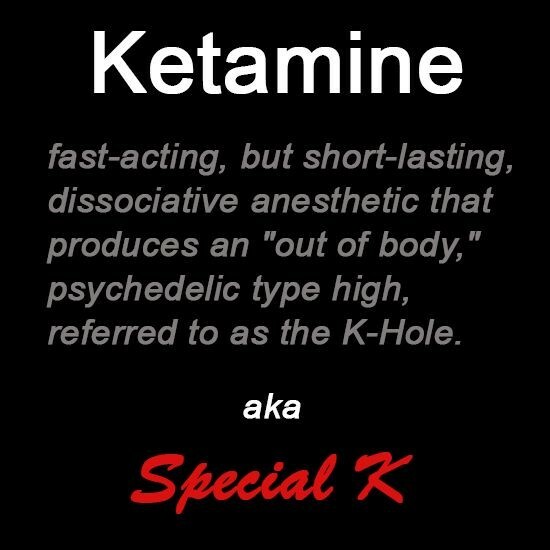 Also if you are new to using Ketamine, it is important to know the terms so you know what you are getting. The British Police Force are now being made to learn all of the slang terms of street drugs, to help them better identify if someone is in trouble or when a deal is going down. Production, supply, or intent to supply carries an unlimited fine, up to 14 years in prison, or both. Even giving Ketamine to a friend for free can be classed as supply. Under the UK’s Drug Driving Law, it is an offence to drive whilst impaired by any drug or prescribed medications that can affect your ability to drive safely, even the following day after taking them. Penalties are the same as drink driving; so be sure that you are not suffering from any adverse reactions from taking Ketamine before getting behind the wheel of a car. The same applies to operating any heavy machinery. Ketamine is a powerful hallucinogenic and can seriously impede your perception, reactions, judgement and decision-making. It is important to remain safe and not put yourself or others at risk whilst on this drug. The following link will provide you with more important information on the Drug Driving Law in the UK and the associated penalties if prosecuted. There are many more examples. You do not have to look far to see that this danger is all around us and that Ketamine when overdosed on or mixed with another drug has the potential to be extremely lethal. Once you start taking Ketamine, you can end up binging on it in order to avoid comedown and withdrawal effects and pains. These binges can last for some days. If you or a loved one/family member are suffering from any of these symptoms, please call us or speak to us on LIVE CHAT now: for immediate, professional, expert advice and help on treatments available for Ketamine Abuse and Addiction. In this section, we tell you all about the treatment options available both on the NHS and through private rehab for Ketamine addiction, abuse and dependence. Addiction is more than just a physical dependence, there is a huge psychological component to the disease of addiction. Successful treatment means treating both the physical and mental dependency and the psychological illness of addiction; ideally, simultaneously within a safe environment for optimum results. For those that suffer from addiction, inpatient rehab is the best option for intensive treatment. It also takes the individual away from the toxic environment that often goes hand in hand with addiction, and places them in a safe and secure recovery focused place; where they can concentrate on themselves fully and recover. 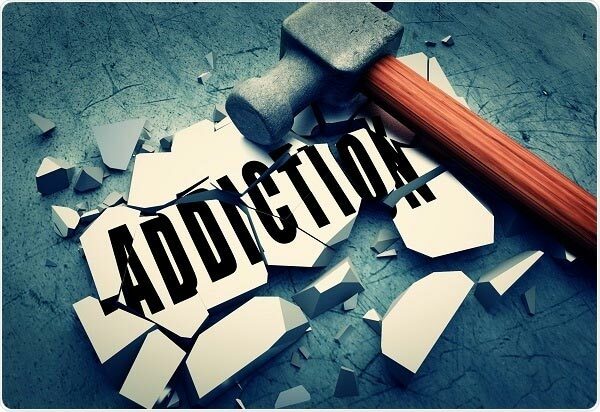 Addiction Helper specialise in treating addiction and have helped well over 10,000 addicts to access the correct support and treatment for their individual addiction. 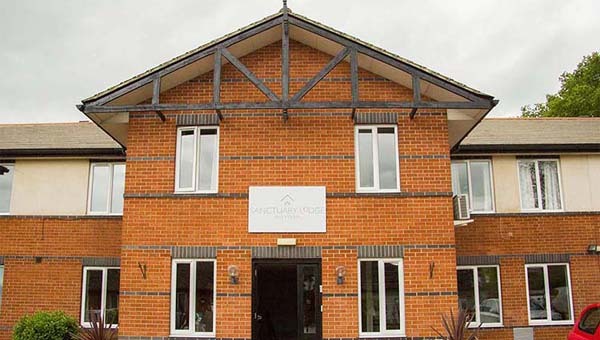 We can find you or your loved one the ideal treatment plan and rehab facility in which to recover from Ketamine addiction; ranging from affordable to luxury treatment, with locations all over the UK and also overseas. We work with only the best detox and rehab clinics available. Addiction Helper have strong working relationships with over 100 CQC exemplary regulated treatment centres, that have proven success rates and adhere to very strict protocols and safety regulations. They deliver the very latest in evidence-based Ketamine addiction treatment methodologies and we have personally visited and approved each and every single one. We are also able to inform you of all options available locally on the NHS and Free Services, please read on to find out more. Withdrawing from Ketamine can be extremely uncomfortable, even dangerous, especially from a psychological point of view. When an individual is dependent on higher dosages or when is mixing it with other habit-forming drugs the risks during detoxification are increased. Where there is evidence of a drug dependency or mental health-related illness being present, detox should be carried out under medical supervision only. NHS community detox with the help of your GP is possible if you are very determined and have a good support system, and your problem is not too complex. This generally works well for those that have a recreational use or abuse problem but not a full-blown Ketamine addiction. Addiction is a chronic relapsing brain disease, as recognised by Public Health England and medical institutions around the world. An individual can become dependent on Ketamine, even though there is little evidence to support it is physically addictive. Addiction resides in the mind, and it is the brain that affects every thought and subsequent action carried out by the addict, regardless of the possible consequences. Addiction is a mental health illness and is very serious and progressive; it requires not only a physical detox for any dependence present but also intensive psychological treatment in order to prevent relapse and to help restore the patient to a sound state of mind and body. Those that suffer from addiction will have a very different experience towards Ketamine than those that do not. They will find it extremely difficult to stop taking Ketamine successfully and not relapse, without addressing the psychological aspect of addiction; this is the driving force behind their constant need to escape reality and themselves, through whatever means. Any detox attempted for an addict or someone with an abuse problem should be combined with behavioural treatment therapies. Counselling and other support services are extremely helpful in order for the user to live a Ketamine and addiction free life and also avoid relapse. Residential rehab treatment is particularly effective in dealing with Ketamine abuse and addiction. Private rehabs offer medical detoxes that will be controlled by medical professionals, experienced and qualified in the latest evidence-based addiction treatment techniques. They will ensure that the individual is safe and as comfortable as possible throughout the detoxification process. It takes the control out of the user’s hands and places it firmly in the care of medical professionals within a temptation-free environment. In addition, the individual will also benefit from intensive treatment for any other alcohol, drug or behavioural dependencies or addictions present. They will also simultaneously receive intensive treatment for any co-occurring mental health illnesses, including Depression, Anxiety Disorder, PTSD, OCD or an Eating Disorder. Follow-up treatment is also essential to keeping the individual on the pathway of recovery and permanently free from Ketamine. Addiction Helper, will gladly help you to explore your options, and provide you with all the support that you and your family need for a successful detox and find permanent recovery from Ketamine addiction through our exemplary rehabilitation centres. Can You Get Free Rehab for Ketamine Addiction? Free rehab for Ketamine addiction can be accessed through two pathways; there are a select number of Christian Rehabs in the UK, but they are religion specific and not for everyone. The other route is to apply for funding through your local drug and alcohol team (DAT). You can find details here of your local DAT team. Funding for a drug that has little evidence to support it is physically addictive is notoriously difficult to secure; unless it is accompanied by a physical alcohol dependency or a Class A physical drug addiction dependency. DAT takes self-referrals and also referrals from other agencies, so you do not have to go through your GP. By engaging with your local DAT you will receive keyworker sessions and access to groups held within in the centre. They can also arrange for counselling and a reduction plan within the community. However, applying for funding for rehab is not easy and nor is it quick. On average it takes up to six months, a year in some areas. Waiting lists are very lengthily and funding is very limited, so therefore only awarded to most deserving cases; those that prove they are willing by attempting reduction, and attending all the appointments for groups and key work sessions. If you are considered a suitable candidate for drug rehab funding, you will be required to complete a pre-rehab course in preparation and to prove your dedication to getting and staying clean. Sadly, some die waiting for rehab, as most individuals with an addiction or abuse problem, will only seek out help once they have reached crisis point. Local drug and alcohol teams, due to demand and underfunding, are simply not equipped to respond quickly or intensely enough for those in crisis. DAT treatment is very helpful for those that do not have a chronic Ketamine addiction problem, but many addicts find it extremely difficult to get and stay clean by staying in their own area. There is daily temptation all around and easy access to local dealers, not to mention the time in between appointments. Some individuals are required to attend DAT appointments by law if they have engaged in criminal activity as part of their probation requirement; this means that those that really want to get clean will also be mixing with some individuals who don’t, and who are only attending as part of their probation requirements. This further exposes them to high-risk situations and temptation. The quickest way to access appropriate and intensive help for Ketamine abuse or Addiction problem is through a private rehab clinic. If you or your family have the means to fund this, Addiction Helper can assist you with an immediate admission today! We can respond to those in crisis. We offer everything, from affordable to luxury rehab and everything in between. Call us now for more information on how to access the best in Ketamine detox and rehabilitation centres in the UK and Overseas. You or your loved one can access free local community support from 12 Step fellowships such as Narcotics Anonymous. There are also Smart Recovery group meetings available, which focus on goal setting in achievable measures. Please click on the links to find out more about their meetings and to locate one near to you. Sometimes your local DAT team will run Smart Recovery groups and NA groups, so be sure to ask what is available if you are receiving help on the NHS. These groups offer help and support for anyone with a drug abuse/addiction or alcohol problem, including Ketamine. At Addiction Helper we understand that addiction doesn’t just affect the individual sufferer, but that also loved ones and family members suffer too, often to a debilitating extent. The whole family has to heal in order to be able to support their loved one through the treatment process and to help get their own lives back on track. Many of Addiction Helper’s private rehabs provide a family recovery programme as part of our inpatient treatment programmes. If this is not something you are able to afford, there are other free associations that can be accessed in the community including Famanon and Adfam. They offer help and support to anyone whose life has been affected by addiction. Depending on the individual’s circumstances and the level of addiction or abuse the individual suffers from, will indicate the type and the intensity of treatment required for a full and permanent recovery from Ketamine abuse or addiction. Inpatient private residential rehab is the preferred option for success and safety. Addiction Helper can advise on many different rehab options to suit all budgets. Please do not hesitate to call us and speak to one of our knowledgeable and friendly addiction treatment experts. We can advise you or your loved one, free of charge, and provide confidential and professional advice on the best Ketamine addiction treatment programmes available in the UK and overseas. We only work with rehabs that are highly established, use proven methods of addiction treatment and detox, and are regulated by the Care Quality Commission (CQC). Our rehabs are very professionally run and adhere to strict safety regulations, protocols and guidelines at all times. Our patient’s safety and wellbeing is of the utmost importance to us. We can also arrange urgent same day admissions wherever necessary and provide a completely bespoke/personalised and intensive detox and rehabilitation programme for you or your loved one to break free from Ketamine addiction on a permanent basis. We witness the miracle of recovery and healing from addiction on a daily basis; let us help you or your loved one to achieve what you never thought was possible! Treatment administered by qualified professionals such as for Doctors, Medical Staff, Counsellors, Psychologists, Psychiatrists, Holistic Therapists and Rehabilitation Recovery workers. For those that are in need of extended rehab care and rehabilitation, we also provide secondary treatment and tertiary/sober living. We assist each and every patient in their successful integration back into society, drug-free. Our rehabs also work with a large network of training and education providers and can help our patients to build a future for themselves and for their family. Removing the drug is only the very beginning of a long road of change ahead. We are passionate about helping addicts, not only to become drug-free, but to become the person that they have always wanted to be. Furthermore, all patients that complete their rehab treatment programme with us, will receive 12 months complimentary aftercare at the rehab they undergo treatment with. We are also dedicated to helping the family throughout their loved one’s addiction treatment and provide family support. When treating addiction, we look at the bigger picture, to give the individual sufferer and their family the best chance of a full and permanent recovery. Recovery from Ketamine abuse and addiction is possible with the correct treatment and support. If you need help, please call us now or chat to us LIVE online for immediate help and advice!